Eminent psychologist Carl Jung believed that humanity’s greatest, most difficult task is to become conscious of contents that arise out of the unconscious. Jung regarded water as the most common symbol for the unconscious. In modern practice, when we bathe we wash and brush-up, but as a ritual its antecedents are found in religion, rites of passage, alchemy, and psychological transformation. A water-based therapy exists and is called flotation restricted environmental stimulation therapy (REST). It has individuals lie horizontally in an enclosed tank containing a high concentration of magnesium sulfate water heated to outer skin temperature, which allows an individual to float as if on the Dead Sea for extended periods of time. Healing benefits include relief from a host of ailments, from physical pain to emotional distress. It also creates a feeling of freedom from gravity, and folded in the comfortably warm and dark waters of the tank, the noise of the mind can dissolve. From the tank’s absence of lights and sounds from modernity, we hear heartbeats and breaths, and can discover a strange familiarity of being in the maternal womb. These all have psychosomatic healing capacities. Flotation, as psychotherapeutic aid, deepens transpersonal experiences that arise during float sessions, thus not losing the symbolic and transformative quality and texture of the numinous experiences of oceanic, baptismal, and rebirth-like states. As analysts tend to their patient’s images in dreams and holotropic states, we can tend float images similarly. Flotation-REST may be viewed symbolically as “Psyche’s Bath” because it provides a unique container and environment for psychological reflection, a practice arguably absent in modern life. Six decades of flotation-REST studies demonstrate diverse numinous, transpersonal, and perinatal experiences. The call to integrate flotation and psychotherapy is answered by Jungian psychology and Stanislav Grof’s transpersonal psychologies. 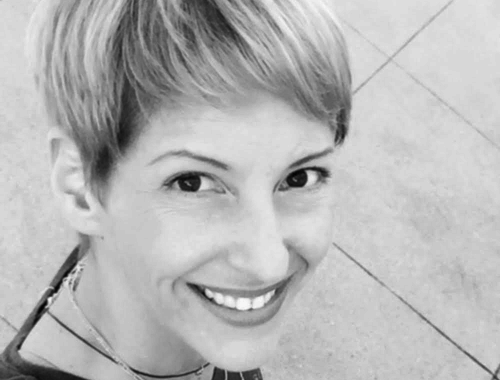 Christy Lee Gardner is a doctoral candidate in the Depth Psychology, Jungian and Archetypal Studies program at Pacifica Graduate Institute in Carpinteria, California. Applying a Jungian lens, her discussion aims to understand and interpret non-ordinary states of consciousness including numinous, perinatal, out-of-body, hypnagogic, and other transpersonal phenomena associated with flotation-REST (restricted environmental stimulation technique). More specifically, she seeks to identify relevant archetypal and alchemical themes, patterns, motifs that may be observable in the experience of flotation. Flotation was originally pioneered by John C. Lilly at the National Institute of Mental Health in 1954, and has evolved to become a holistic, therapeutic, water-based form of sensory deprivation and isolation. Christy received her M.A. from Pacifica Graduate Institute, and her B.A. from Mount St. Mary’s College in Los Angeles, California. Her research interests include cesarean-birth and infant trauma, reimagining body dysmorphic disorder, contemporary gerontology, and extending current moderation management-based approaches to addiction treatment.